Check out these Judge Dredd Pinball Machines for sale. You will also find parts and accessories for current owners including the ramps, Decals, Manuals, Translites, Insert Decals, and Drop Targets. It is known for it's unique gun style filpper control. 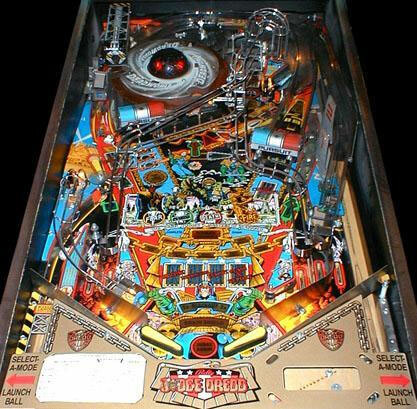 The pinball machine is much better than the movie.